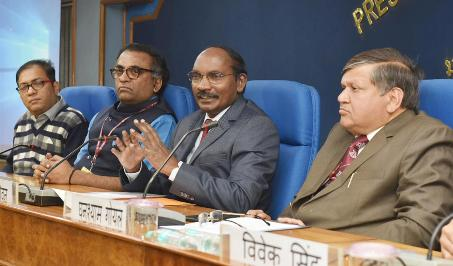 The launch window for Chandravaan-2 is March 25 - April 30 this year, said Chairman, Indian Space Research Organisation (ISRO), Dr K Sivan, while addressing a press conference here today. He said that ISRO has planned 32 missions this year. Elaborating on the priority areas of ISRO, the Chairman said that these include Gaganyaan project, reaching out to students, outreach program, planned missions of this year and Vikram Sarabhai Centenary celebrations. Elaborating on the outreach program, Dr Sivan said that this year ISRO has initiated ‘Samvad with students’ program where ISRO chairman meets the students during his outstation visits and address their queries and quench the scientific thrust. The youth have boundless energy and endless curiosity, he added. For the first time, ISRO has announced the ‘Young Scientists Program’ to encourage the scientific talent and increase scientific pool in the country. Under this program, Dr Sivan said, 3 students from each state and UT will be selected for ISRO program for one month during which they will visit ISRO centres, interact with senior scientists and will have access to Research and Development facilities. All the expenses of travelling and boarding will be borne by ISRO. Dr Sivan appealed to the state governments and the state education departments for their active cooperation in making the program a success. ISRO Chairman said that six incubation centres will be established in various parts of the country - North, South, East, West, Centre and North-East. First such Centre has been established in Agartala. Dr Sivan also announced the establishment of six R&D centres. The students will be able to conduct R&D at these centres as well as incubation centres. He added that ISRO has inaugurated UNNATI program yesterday the purpose of which is to train participants on nano satellite assembly. 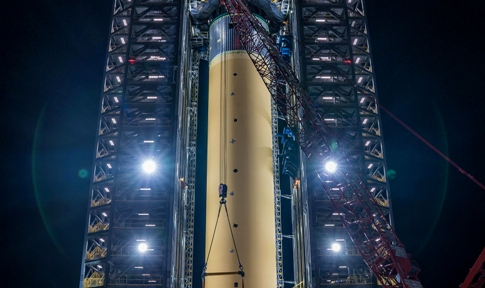 For ISRO presentation, kindly click here.